Welcome to my Mailbox Monday post for November (or otherwise known as the November guilt inducing post!) November was another good month in terms of acquisitions. I have done so well at not requesting library books. I think next month I should try and reduce the amount of books I acquire! Or maybe not. Wish: A Novella, Bedded for Diamonds, The Maverick's Greek Island Mistress, Untameable Rogue and Her Singapore Fling by Kelly Hunter - I went on a bit of a Kelly Hunter binge this month. Not only did I buy them all, I have also read them all! 30 Minute Meals and Jamie's Great Britain by Jamie Oliver - I am not 100% sure what prompted me to buy two Jamie Oliver cookbooks in the space of two or three weeks, but I don't regret it at all! 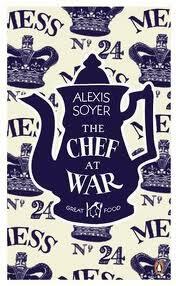 Love in a Dish and Other Pieces by MFK Fisher and The Chef at War by Alexis Soyer - Two more books in the Penguin Great Food series. All They Need by Sarah Mayberry - I have read a few books by Sarah Mayberry this year and really liked them, so I had to get this one too. 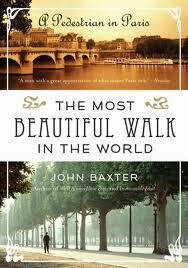 The Most Beautiful Walk in the World by John Baxter - I went to the movies the other Friday night to see Midnight in Paris. Is it any surprise that I couldn't walk past a book about walking in Paris? 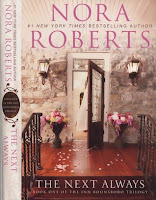 The Next Always by Nora Roberts - Was very excited when I saw that this book was up for review. 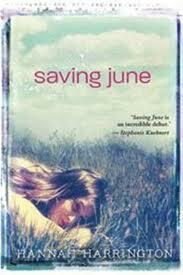 I have read it, just waiting for the appropriate date to post the review here on my blog. Love and Freedom by Sue Moorcroft - An author I like a lot recommended Sue Moorcroft so I thought I would give it a go. Camp Nine by Vivienne Schiffer - For a blog tour! 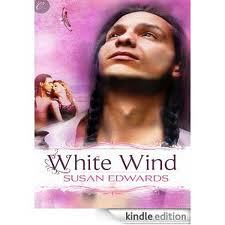 I am reading this one at the moment, and will be reviewing it on Thursday. 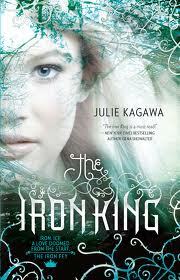 Saving June by Hannah Harrington, The Girl's Guide to Homelessness by Brianna Karp and The Iron King by Julie Kagawa - I knew I was getting a package of books, but I had no idea what was in it! Touch of Power by Maria V Snyder - I first heard about this series when Maria V Snyder visited Australia earlier this year. 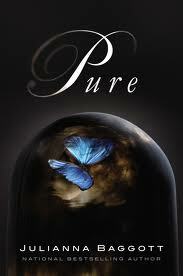 Pure by Juliana Baggott - Juliana Baggott also writes under the name Bridget Asher and I quite liked her voice under that pseudonym so I thought I would try this one out too. 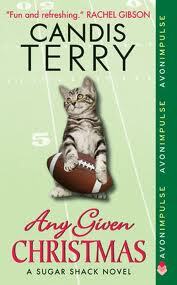 Any Given Christmas by Candis Terry - this is the second book in this author's series. Really liked the first one so had to request this one! 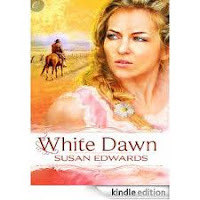 White Dawn, White Shadows, White Wind, White Shadows by Susan Edwards - I am not really sure why I requested all four books in this series. Normally I would only request one at a time. 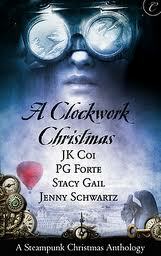 A Clockwork Christmas Anthology - I requested this for the Jenny Schwarz story which sounds really interesting. Holiday Kisses Anthology - I think it was the prospect of a Shannon Stacey story which made this a must have. The Orchid House by Lucinda Riley - This sounds like exactly my kind of read! 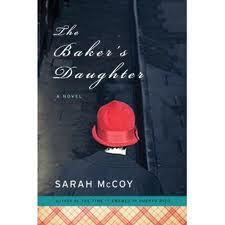 The Baker's Daughter by Sarah McCoy - I can't remember why I thought this one sounded interesting. Learning to Trust by Lynne Connelly - I often enjoy reading this author's blog opinion pieces but I haven't actually read her books yet. Mailbox Monday is on tour and for November but this month it is being hosted at the Mailbox Monday site. Head over there to share your links, or to see what everyone else has posted about this week. WOAH! That is a loooooot of books! I absolutely love the covers of Love in a Dish and Other Pieces & The Chef at War. The Next Always sounds intriguing and you can't go wrong with Jamie, especially with those 30 minute meals! :) I wish he'd publish a vegan version. LOL. 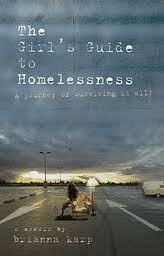 I'm also interested in the book you're reading now: Camp Nine. A few years ago I read a bookcrossing copy of Obasan, about Canadian-Japanese citizens in WWII. I was very impressed -- so much I hadn't known! Enjoy all the books! The cookbooks look good to me. I agree about Shannon Stacey being a draw for an anthology. Holy cow, but you had a fabulous week! Those Penguin Great Food series books are gorgeous! MFK Fisher is my all-time favorite food writer -- well, writer in general. It looks like someone has a new favorite author! Great mailbox this week! There is a lot here to keep you entertained for awhile! A nice haul of reads, enjoy! The Orchid House sounds like my kind of read too! I can't wait to see what you think of Camp Nine and The Next Always! Wowy-zowy, that's a heap of a lot of books! I hope you enjoy them all! I'm SO excited for Touch Of Power! 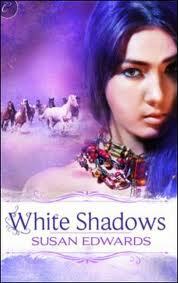 MVS is one of my most favouritest authors! Squee! That's a crazy good haul!! Whenever I check out your mailbox I quickly realize that I don't have a book problem!!LOL!!! Wow! What a great (and diverse) group of books there. I love Jamie Oliver. Enjoy your books and have a great week!